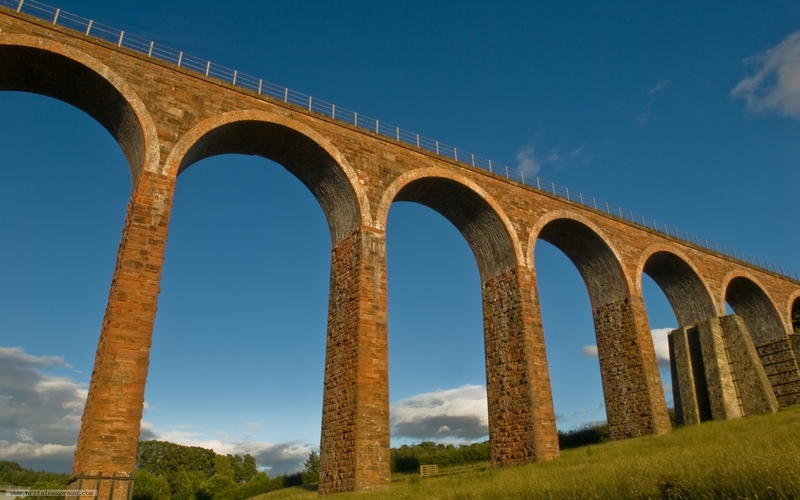 The Leaderfoot railroad viaduct is a landmark in the Scottish Borders. You have no warning of its presence as you sweep around a curve on the A68 just east of Melrose. Then the view opens out and you almost gasp in surprise, so striking is the long span of arches and the high bed of the viaduct as it seems to leap across the valley of the River Tweed. I tried on several occasions to photograph the viaduct, and found that my best angle of view was almost underneath the structure itself!